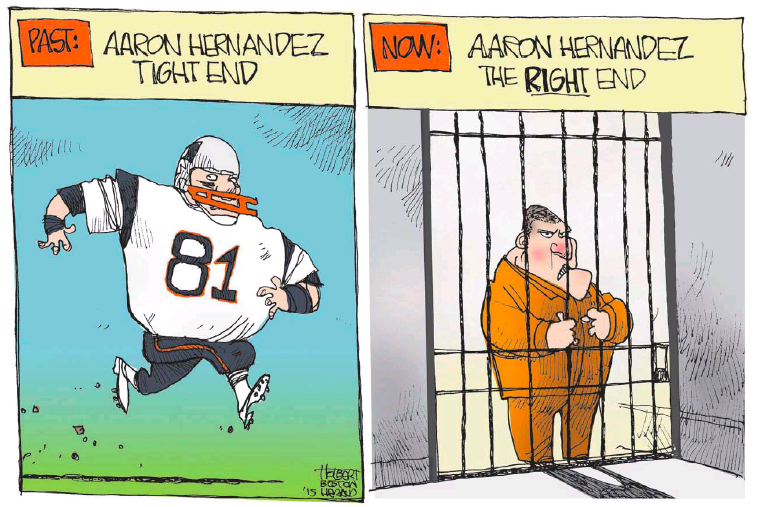 The hardreading staff is always pleased when the editorial cartoonists at the Boston dailies attack the same subject, and the verdict in the Aaron Hernandez trial is no exception. 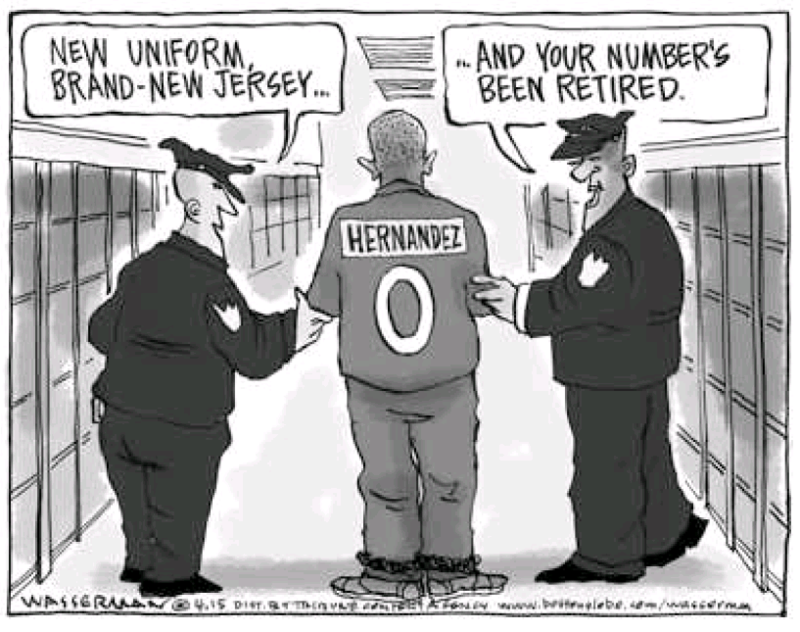 Yesterday’s Boston Herald featured Jerry Holbert’s take. And yesterday’s Boston Globe featured Dan Wasserman’s take. This entry was posted on Friday, April 17th, 2015 at 11:07 am and is filed under Uncategorized. You can follow any responses to this entry through the RSS 2.0 feed. You can leave a response, or trackback from your own site. Kinda piling on, isn’t it?